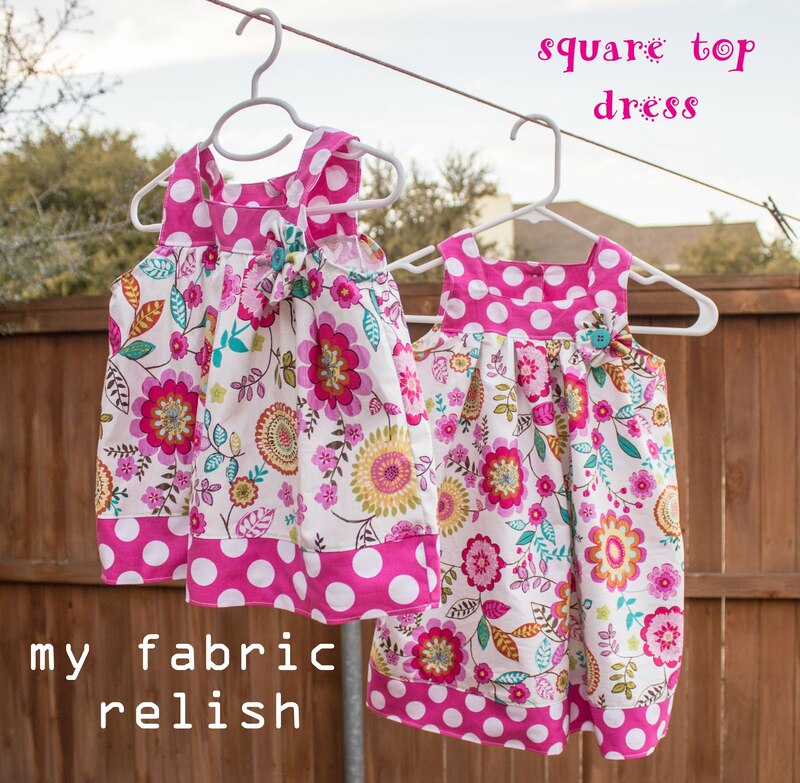 I love making dresses for my girls! 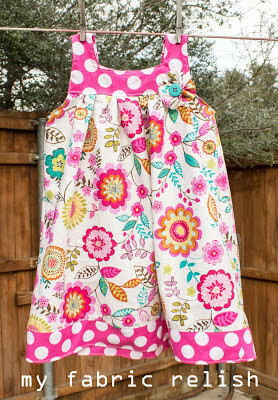 Since baby relish is growing so fast, I really don't make as many for her as I do her big sister. Little Relish #1 is only 2 1/2 but she wears size 4T! She's definitely as wide as a 4 year old but not quite as tall. She has been in size 3-5T clothes since last summer and only growing taller. 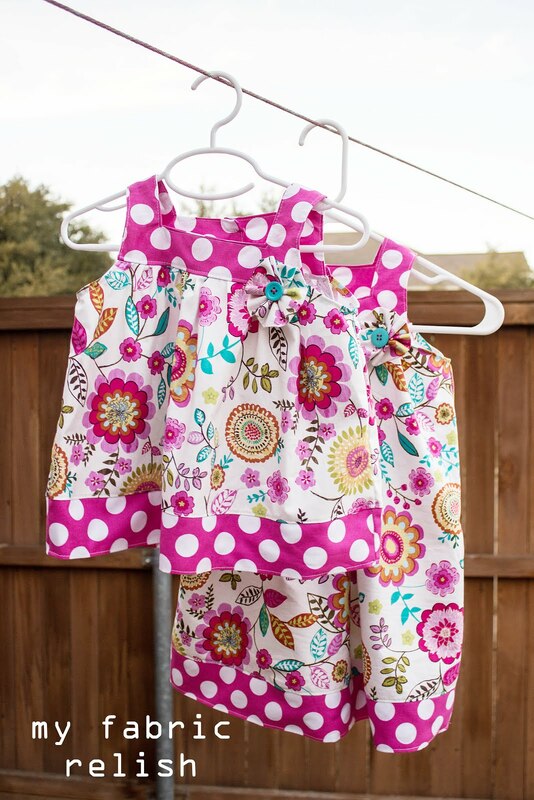 So when I make her clothes, I know she will be wearing them for awhile. That's not the same case with baby relish. While she is only 8 months, she wears size 18 months and still growing like a weed! So I don't want to put too much time in making her custom clothes unless they will be worn for longer than 3 months. 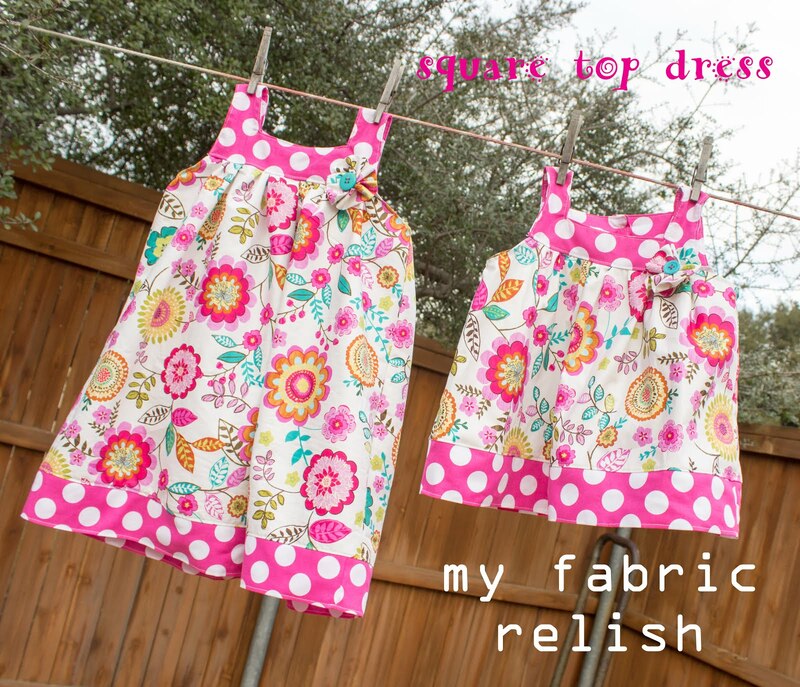 I love buying my clothes patterns off Etsy! I think you get a lot of bang-for-your-buck because they are pdf and can be printed over and over again. They come with step-by-step instructions and pictures and you can generally contact the creator if you are stuck anywhere. 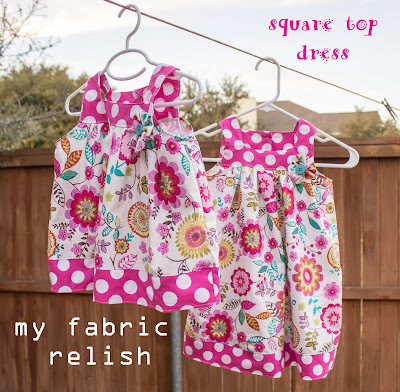 These dresses I made one size 3T for baby relish (but much shorter that what the pattern suggest) and then 5T for little relish. It's a bit chilly here in Texas so I didn't get the girls in them to take pictures...not that they would cooperate anyway...haha! I used the Squared Neck Jumper pattern from TieDyeDiva here on Etsy. You can also follow her on Facebook here. Scared of buttons? Start here! This is how I overcame my fear and now I think buttons and button holes are FUN! 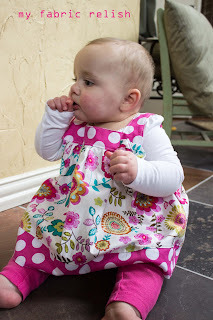 Baby relish is 9 months!